With two locations in Ludington and Freesoil, Orchard Market is your quality one-stop shop for all things gardening. Opening the second of May, Orchard Market is family owned and operated, and has been in business for over 50 years. 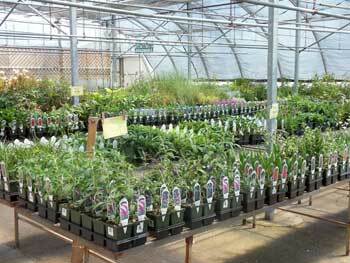 In both locations, you will find a large variety of potted herbs, vegetables, perennials, annuals, and hanging baskets of all kinds in their greenhouses. If you are looking for ornamental trees, fruit trees, or shrubs, Orchard Market has them as well. For gardening supplies, they have everything from gardening tools, to fertilizers, to pest management products. They also have a retail store in Ludington and Freesoil where you can find fresh fruits, vegetables, herbs, homemade bakery items, granola, and their yummy homemade fudge! Starting this year, Orchard Market in Freesoil is expanding their bakery and will include an enhanced fudge counter featuring over 20 varieties of Homemade Buttercream Fudge. The Freesoil location will also include a Deli area featuring fresh meats, homemade soups, salads, sandwiches, as well as hot and cold drinks. 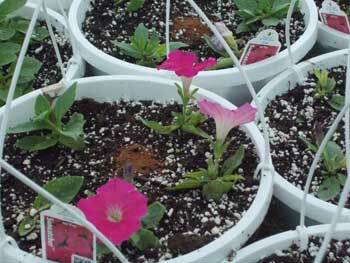 Visit our Greenhouses, Garden Centers, & Nurseries page for more businesses in the area.